Christina Grimmie - Bio, Bother, Boyfriend, How Did She Die? Who Killed Her? Christina Grimmie – Bio, Brother, Boyfriend, How Did She Die? Who Killed Her? Christina Grimmie was an incredibly talented star who made an indelible mark in the music community in her short lifetime. The multi-talented singer, songwriter, actress, and former YouTuber was first discovered as a teenager on her YouTube page, but more so when she made a memorable appearance with her unique and soulful voice on NBC’s singing competition, The Voice. Not only was she a digital phenomenon, Grimmie also emerged the third runner-up in the 2014 Season of The Voice and her popularity grew from then on. Sadly, the naturally gifted talent who was destined to be a star from the outset met her untimely death in 2016 in an apparent homicide incident. A native of Marlton, New Jersey, Christina Grimmie was born on March 12, 1994. She is the second child born to Tina and Albert Grimmie. Christina attended Bethel Baptist Christian School, and also the Marlton Middle and Cherokee High School. Christina’s flair for music began from an early age as she was already playing the piano at age ten. In search of a big platform to showcase her talents to the world, Grimmie created her YouTube Channel when she was just 15 years old. On her YouTube page with the name zeldaxlove64, Grimmie began posting videos of herself amazingly rendering famous cover songs. Some of her videos include the cover of Hannah Montana’s popular track Don’t Wanna Be Torn, and Party in the USA, as well as rapper Nelly’s Just a Dream, among others. She soon gained popularity and amassed no less than 3 million followers on her page. In 2011, she released her first EP Find Me which was an average success. The next year, she relocated to Los Angeles in further pursuit of her dreams. Grimmie released her sophomore album With Love in August 2013. Though Grimmie already had a blossoming career, her major walk to stardom came in 2014 after she auditioned for the popular NBC singing competition The Voice. On the sixth season of the show, Grimmie wowed the audience and judges with her soulful performance and ended up on Maroon 5’s lead singer, Adam Levine’s team. She made it to the show’s finale and eventually finished in the third position. While she didn’t emerge the winner, Christina gained so much from the show such that her fanbase included big superstars. She won the heart of many celebrities with her wonderful performance on the show. After the competition, Christina’s musical coach Adam Levine signed her to his 222 Records label. Rapper Lil Wayne also reportedly offered to sign the talented singer to his record label Young Money Entertainment. Some other stars who supported Christina’s musical career were Justin Bieber and Selena Gomez whom she worked with on various tours and events. In fact, sources reveal that Christina Grimmie was discovered by Selena Gomez’s stepdad and her relationship with the pop star went beyond music. In 2016, Christina released her second EP titled Side A and the next year, her third EP Side B was released posthumously. Besides her music career, Christina was also an actress who featured in the romantic comedy The Matchbreaker (2016). How Did She Die? Who Killed Her? Christina Grimmie’s bright star was dimmed on June 10, 2016, in South Jersey. She was tragically shot by an obsessed fan identified as James Loibl while signing autographs after a concert performance with the band Before You Exit in The Plaza Live in Orlando, Florida. With three gunshot wounds and in a critical condition, Grimmie was immediately rushed to the Orlando Regional Medical Center, but she died a few hours later. Following the tragic incident, Grimmie’s death was declared a homicide. See Also: Is Glenn Dead on TV Series, Walking Dead, If So, Why and How Did He Die? The news of Christina’s death shocked not just the music community but the world at large. The young and talented singer was buried at Berlin Cemetery, in a private ceremony, on June 16, 2016. The singer who was of Italian and Romanian descent had an older brother Marcus Grimmie. Christina was lucky to have a family who strongly supported her dreams. Her singing talent was first discovered by her father when she was just six years old while her brother Marcus, who was in awe of his sister’s talent, later became Christina’s road manager during her performances. 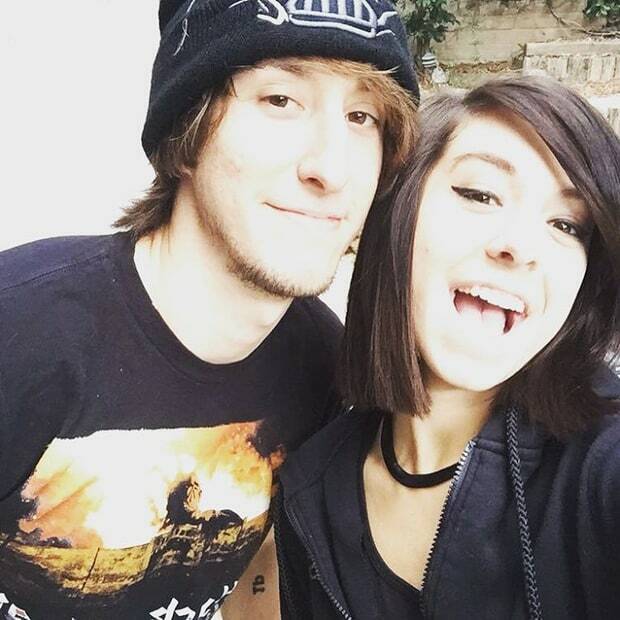 Before her popular stint on The Voice, Marcus frequently appeared on some of Grimmie’s YouTube videos. On the day Christina was tragically killed, Marcus was present and hailed as a hero. According to police reports, after the gun-wielding suspect shot Christina, her brother Marcus immediately tackled the attacker. Loibl, a 27-year-old white male was carrying two handguns, two loaded magazines, and a large hunting knife. After Loibl shot the singer, her brother Marcus immediately rushed him to the ground before the gunman fatally shot himself also. Though the late singer never went public with her relationship, she is believed to have been in a romantic relationship with Stephen Rezza as evidenced on their social media accounts. After her tragic death, it was first thought that Grimmie’s obsessed killer, Loibl was in a relationship with the late singer. But sources later revealed that the infatuated Loibl who had hoped to marry the singer someday did not actually know the star before shooting her dead. The killer reportedly turned from obsession to violence after seeing a picture of Grimmie with another man believed to be Stephen Rezza. According to Stephen Rezza, a singer and producer, his relationship with the late singer was quite brief. After Grimmie’s tragic and unexpected death, Rezza pledged to live the rest of his life in honor of her legacy.